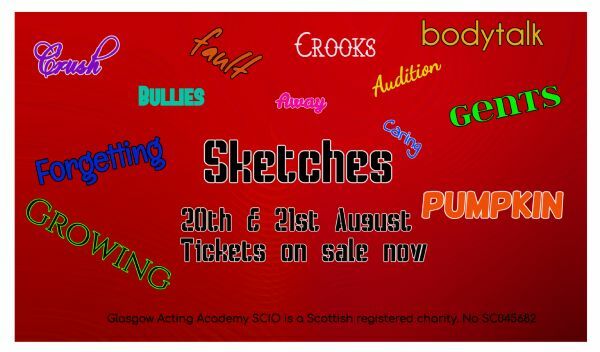 Sketches is a collection of short plays and scenes which highlights our 11-13 year olds student's range and ability. Sketches is everything you could want in a production; drama, comedy, physical theatre, tackles important issues and will have you laughing out loud. The performances will take place on Monday 20th and Tuesday 21st August. Tickets can be purchased from the GAA office. 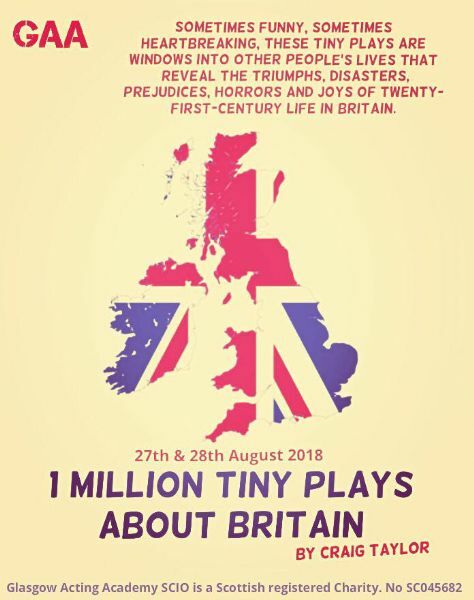 Sometimes funny, sometimes heartbreaking, these tiny plays are windows into other peoples lives that reveal the triumphs, disasters, prejudices, horrors and joys of twenty-first-century life in Britain. Our senior students bring this collection of plays to Glasgow Acting Academy on 27th and 28th August. Tickets can be purchased from the GAA office. Tickets are officially on sale for the biggest night of the year. All students are invited. The Oscars will be held at the National Piping Centre on Friday 31st August, doors open at 6pm for a 6.30pm start. Tickets are £15 and can be purchased from the office. 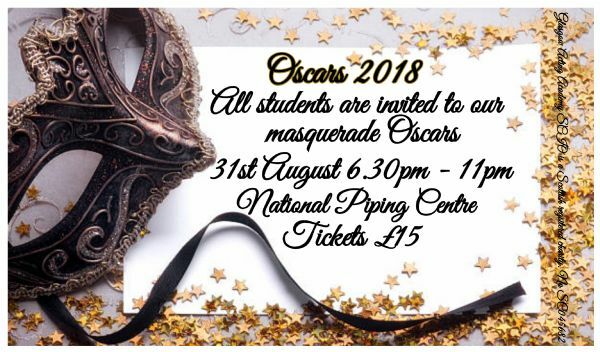 The Oscars this year will be a masquerade theme so get the glad rags at the ready and the masks out for a night of awards, entertainment and to celebrate another amazing year for GAA.